Let us assume that you are a photo or video editor using a Mac powered system. What could possibly make you more productive in your work? Maybe, if you could know more, it would help? Well, yes. But, how do you save more time? In other words, you need to do more in less time, is not that profitable? It sure is! I just know the thing that you should be utilizing – custom keys in Mac. More like shortcuts or quick functions. If you would be utilizing the custom keys function, you may save a lot of time! Just like F1 to F12 keys are very useful in changing the brightness, volume, play controls and so on. It makes things easier and faster, am I wrong? The way the mac behaves is different, and you might be needing it (keys) to behave in your way. And, that can be done with the help of a dead simple app – Palua. 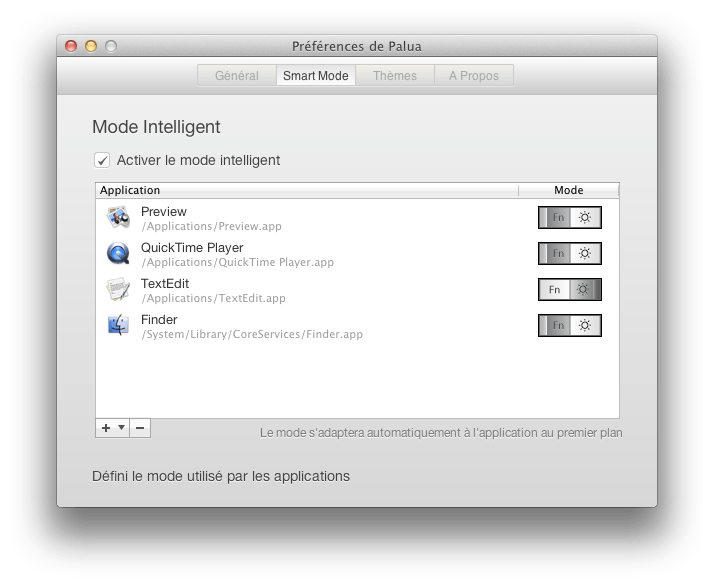 Palua is a tiny little app works in menu bar lets you switch between Apple and standard functions with the click of your mouse, or even a keyboard shortcut. Palua is available in Mac App store for just $0.99. You can remap the keys as you want and conveniently make it happen. However, be cautious that the shortcut keys you re-mapped do not conflict with an existing (but yet an important shortcut). If you want it to work as soon as you turn on your Mac, then simply enable the option to launch it at startup time. You can even turn on the smart mode which will manage the shortcuts with ease. Also, would notify you if there is a possible conflict for the shortcuts you have set. You can take a look at the above video to have an idea of how it works. If it seems feasible, you can have fun with it as well!